I've been wanting to test out the high-low skirt trend for a while, but hadn't yet found one in stores that suited my fancy..or my pockets. So, I made one! 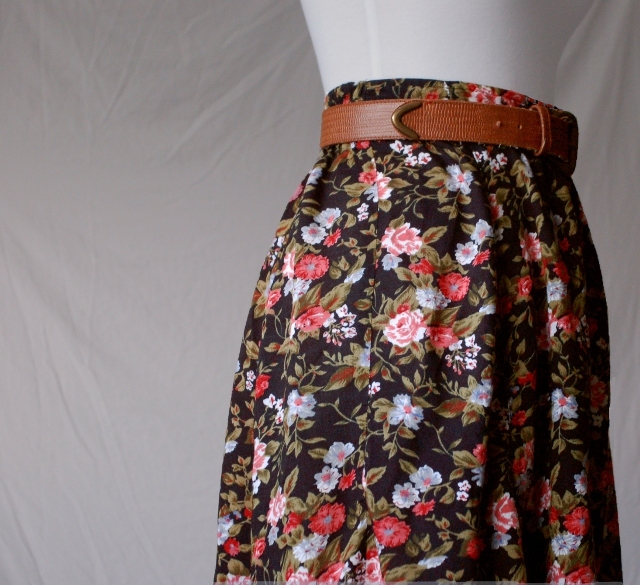 Or rather re-purposed a frumpy thrift store skirt into one! 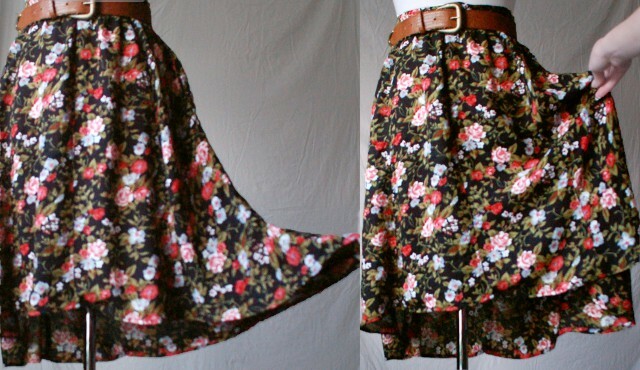 I found a floral print (because you know I love anything floral) skirt at my local Goodwill and had a vision for it. 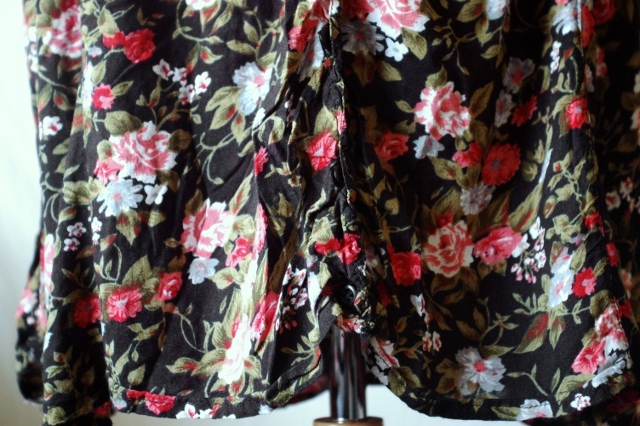 Pretty sure the lady at checkout thought I was crazy for buying it though, especially because of the semi-grandma floral pattern.. :) But it's fine, because I really like how my high-low skirt turned out! 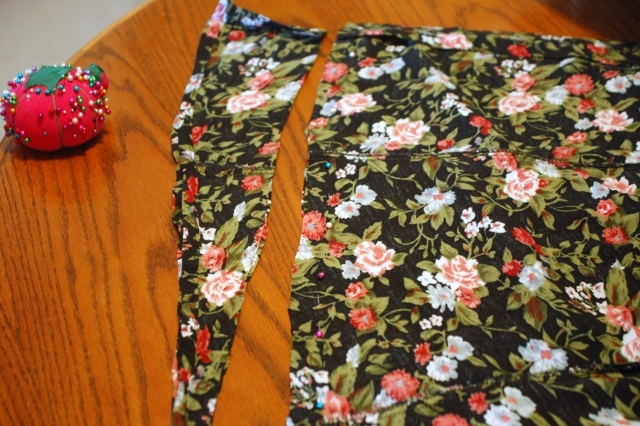 Want to see how I refashioned my skirt ? The thrift store skirt I bought had buttons all down the front and I did not like this at all, as buttons tend to gap open..and who wants to wear a slip? seriously?! So, I just removed all the buttons, pinned right sides together, and sewed a straight seam right over the button placket. My seam allowances were pretty wide (3/4 inch) because I had to catch the button holes in my seam. Then I pressed the seam open. 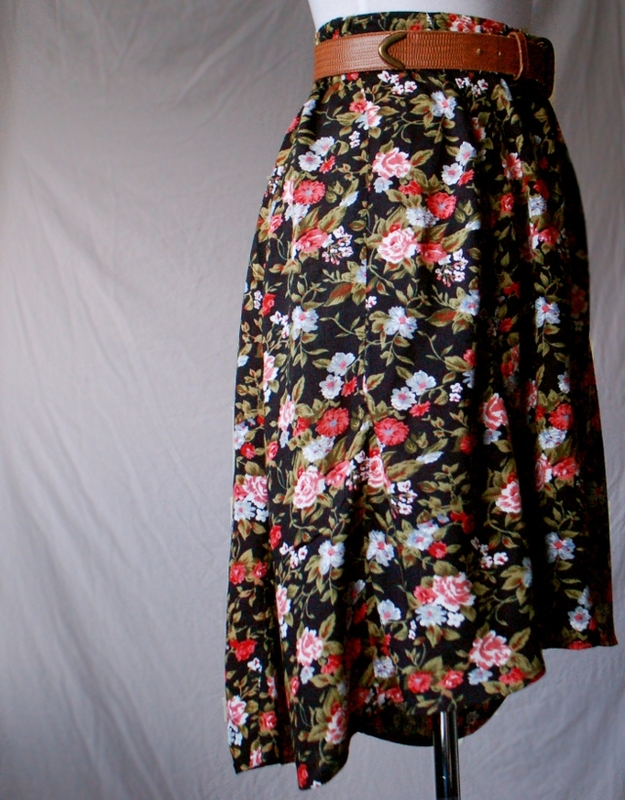 To make my high-low hem I kept the skirt right sides together and folded it in half, matching side seams. 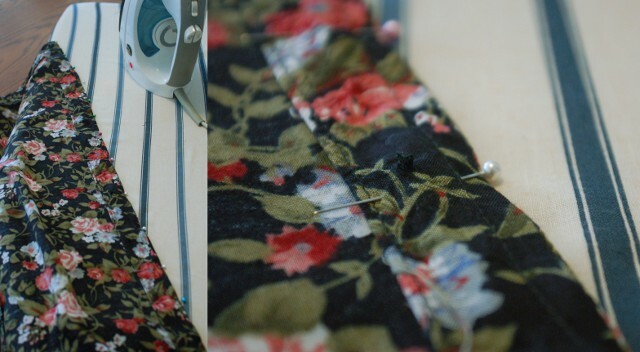 Then I placed my pins in a line along where I wanted my new hem to be. My high-low hem is not very severe, it's more gradual. Then I cut my fabric along my pin line and then sewed a narrow hem. I kept the hem that was already sewn on the back of the skirt because I didn't want it to be any shorter. This made it a little difficult to make my new narrow hem on the front of the skirt match up with the hem that was already on the back. If I were to do this again, I would probably first unpick the entire original hem and iron it flat before cutting my new hem length and sewing the new hem. If that even makes sense? Either way it's an easy (and quick) refashion!